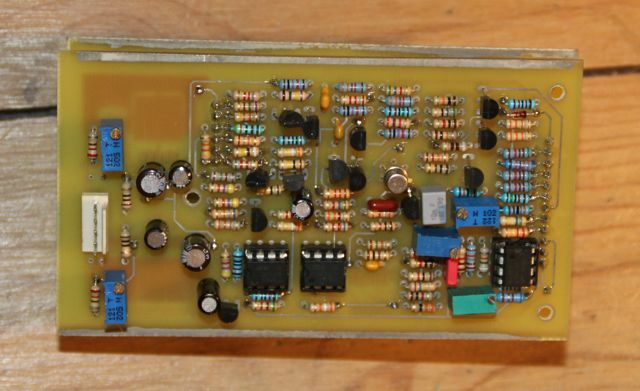 MUFF WIGGLER :: View topic - Mini-Modules : Minimoog DIY clone on its way. 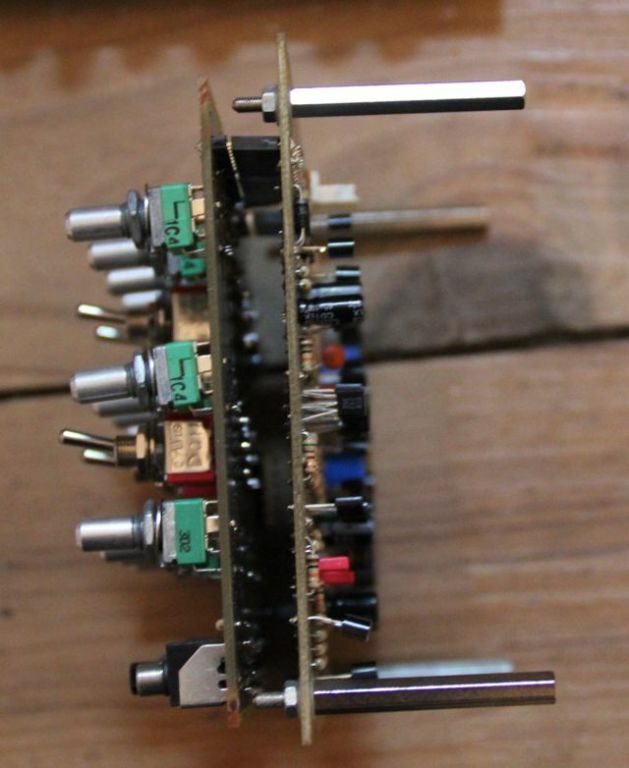 Mini-Modules : Minimoog DIY clone on its way. moding or designing synth related circuits. 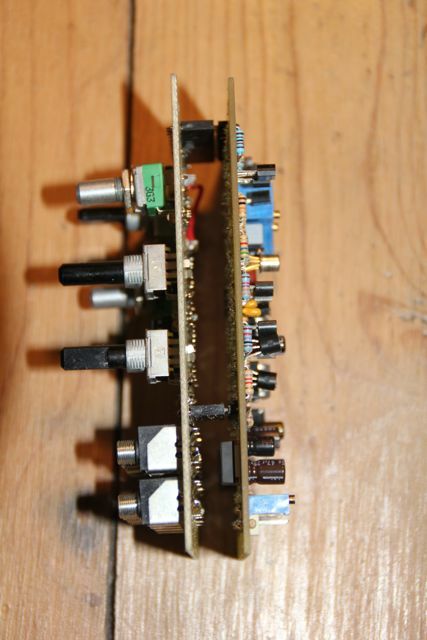 The initial target was to make an exact replica but finally ends up with what I call "Mini-modules" (Think ARP like sub-modules for Filter, VCO etc) for any format : eurorack / Moog 5U, you name it. Also, they could fit behind a "real minimoog sized panel". So, let me introduce you the idea of "Mini-modules" and the control boards that actually "activate" them. 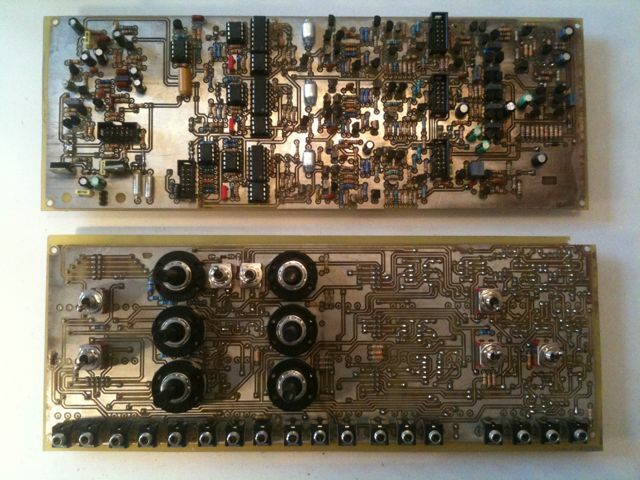 - One for each mini-module (so you get an eurorack version of each for example). 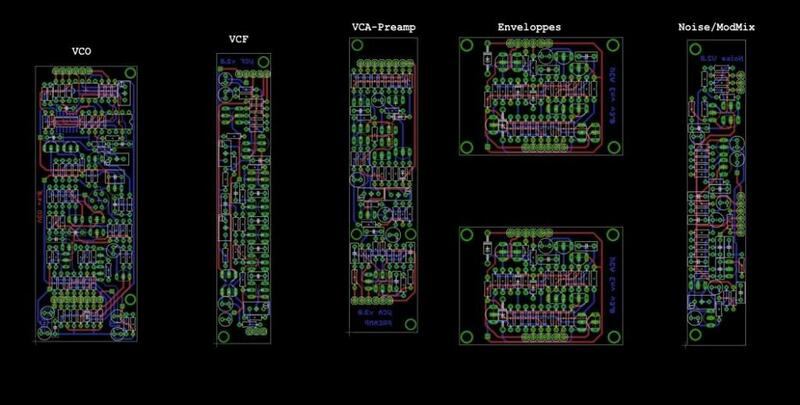 At the moment, everything works great, I'm finalizing the "Mini-modules" and the 60 HP Controller Board to hold them. Whats the rare parts count like? Wow, that's a big project! You must have spent a lot of time with it. As you say these are exact replicas: Are there any hard to find parts in it? That would probably scare away a lot of people. Whole minimoog in 60 hp? That is tight! Can you still wiggle on that? Also, impressive! Can't wait to hear the results. Rare parts are mainly 2N4058/2N4402 which could be replaced if one does not care about "an exact replica". During development, I tried replacement parts and, to my ear, there was no difference. 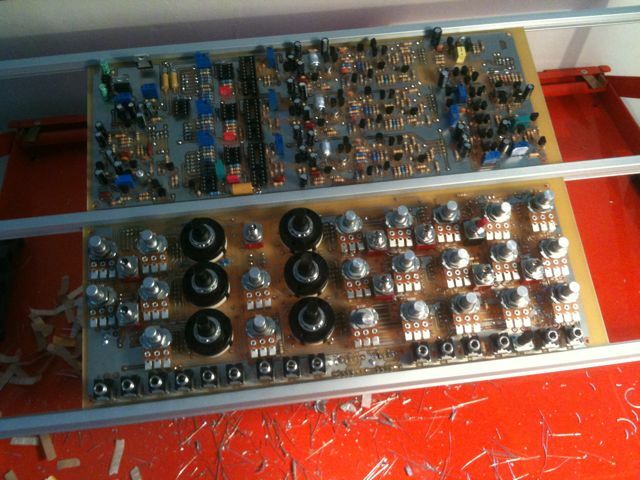 E402 has been replaced, like on some Minimoog series, with 2N3954. I might offer "rare parts" packages or have someone deal with that for me. 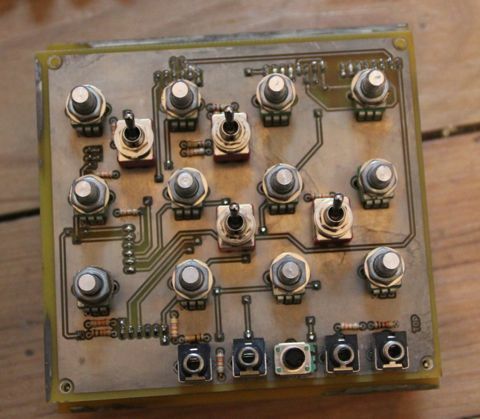 At the moment, the target is : finish the mini-modules, the 60HP board and give you a taste of how it sounds. PS : The idea of doing Mini-Modules was also a way for DIYers to easily debug and get help from others to track down what is wrong in a specific board. A Mini for everyone ! Thanks to you for your open-source project!! Yes it is but not that bad actually. Spacing between pots, without knobs, is about 3 cm (1.15 inch). This looks really cool! I've always wanted to build a mini. That's an impressive and good looking project! I'll definitely keep an eye on this. May I say that I love you?! Yeah, but does it sound like a Mini? nice..... good luck with this. You can call me INTERESTED! Wow, this looks good. I'm interested too. Are any of the jacks switching? Just wondering if they could be easily replaced with bananas. I'm curious to see a labelled image of the 60HP control/switch layout if you have one at all, please. This is very impressive, by the way. Thank you for sharing and making your project available. I fear it might prove too hard to resist! Some of them use the switching mechanism like the PWM individual inputs for each VCO. but a Euro modular Mini .... it makes my mouth water! Would really like to build this - I hope someone comes up with some nice panels for this. Wow! This is fantastic. I am very interested!